PROBLEM STATEMENT: Operation of home appliances is done manually. Manual work is done automatically by the means of wireless. 2. Glass break Sensors . Home automation or smart home is the residential extension of building automation and involves the control and automation of lighting, heating, ventilation, air conditioning (HVAC), appliances, and security. Modern systems generally consist of switches and sensors connected to a central hub sometimes called a "gateway" from which the system is controlled with a user interface that is interacted either with a wall-mounted terminal, mobile phone software, tablet computer or a web interface. Predicting the future of just about anything is very risky buisness . home automation is an industry in that largely started with X10 devices in 1980. Today we believe the future of home automation will very much ride the digital age and develop along with the computer networking systems in the years to come . To ensure that people are getting safe products and to enhance the quality of purchase by means of our product. Our main idea is to make sure that the customers are purchasing good quality products. Good quality products in the sense products which haven’t expired. Initially the products details along with expiry date are sent to cloud through RFID technology. The details of the product which are expired is frequently sent to the shopkeeper via push notifications. So that the shopkeeper will be able to replace the products in time. This is profitable for the shopkeeper as he/she will be able to replace the old products. In case the shopkeeper fails to replace the old product, the barcode reader which is modified to read the expiry date will show that the product is an expired one. This method helps customer to choose the products without any doubt of the quality and also helps the shopkeeper to maintain the stocks efficiently. In this we used a input data (procode) product code from barcode reader, which is sent to cloud(* the cloud node is not used in this flow diagram, as we planned to implement it later) The cloud already contains the expiry database of each products which then compares the product with unique id whether it exceeds the limit. The node(expcheck) is used for comparing the expiry date of a particular product which is stored in cloud with the input name, if the condition is true the node (prosafe) which is directly connected to a display which displays the text “the product is in good condition”. If it fails the node (proexp) which is connected to IBM push notification centre sends an alert text message to the customer mobiles or to the stock manager that “the product is expired”. The above node red flow is for demonstration only, future applications will be added later on. Wind mill is a power plant. The main source is wind energy. Now a days most of the countries prefer wind mill. The main problem in wind mill is data collection i.e) the parameters like wind speed, rotating speed of the blades, vibration generated in transmission, voltage generated in wind mill are manually measured by a person in the location area. the other problem is most of the windmill are not government sector some private sectors also use windmill for power generation. the problem occur in windmill parameters are not continuously measured and intimated to that sector. 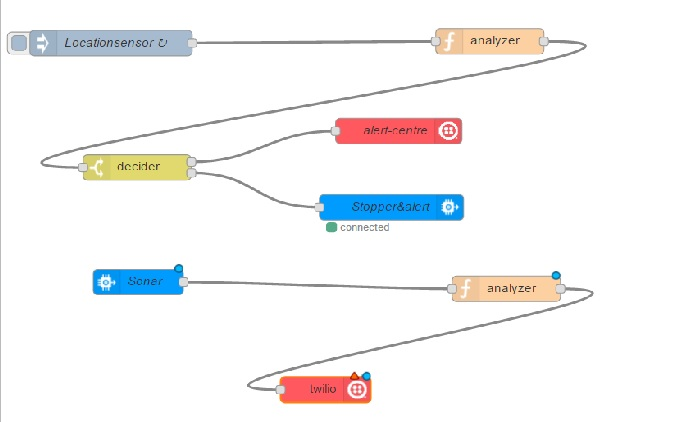 We can rectify the problems by implementing sensors in windmill,that sensed data are measured and transmitted by IOT.By using IBM Bluemix application to indicate the real time data taken from sensor in windmill. Ø To measure the voltage generated in windmill second by second. Ø To identify the problem before it occur in windmill. Ø To interlink all windmill in that area to verify the power generation. 1.There is no exact boundary crossing alert system in ships and also there is no evidence for our navy to release the ones who were illegally arrested without crossing the boundary. 2.There is only satellite weather informations are available till date for navigation which cannot be checked for shorter time period and hence the ships which have already being in sea are not aware of the present weather condition in their way. 3.Could not determine the places where the aquatic population is more. 1.We can alert the sailors in the ship from crossing the borders before 2 kms by the help of gps tracking system and if they proceed further a km(ie.., if they are in 1 km distance from the border) the engine will turn off automatically. 2.The location of the ship with latitude and longitude is pictured and sent to the navy and only with the arrival of navy they can turn on the engine. 3.Within the arrival of navy,if the sailors are arrested by the neighbour country,then they can be realeased with the help of the pictured location that is sent to the navy in advance. 4.The sensors to detect temperature,humidity,wind flow and tide are placed in the ships. The data from those sensors are sent to the remaining ships in the same path. From the help of those sent data,the sailors of the other ships can take respective decisions such as whether to proceed further or to wait or to take other path. 5.With the help of SONAR we can detect whether there is a massive amount of fishes in the respective area. To overcome the above mentioned problem statement, we can use sensors and bluemix tools to alert the sailors regarding boundary, provide evidence for the navy, periodic checking for weather and prescence of fishes under the sea. ( smallest chip) which Sents signals to GPS RECEIVER. GPS RECEIVER locates the exact location of ID’s. In our day to day life one of the problem that we are facing is booking of gas cylinder when it becomes empty. It is very tedious to bring the cylinder to the rural areas on time so that the people may suffer without having the gas cylinder for several days. We go un-noticed while our domestic gas cylinder goes empty. This problem can be solved by using the IoT. It is that we are sensing the pressure level inside the cylinder. A pressure sensor which is fixed in the cylinder senses the pressure level in the cylinder. The sensor measures the pressure level in three stages. When the pressure level sensor reads the low value, this message is passed to the IoT cloud. Then it automaticaly books the cylinder and a confirmation message is send to the customer. Now the problem of waiting for the cylinder delivery is eradicated and the cylinder can be delivered on time without any miscomfort for the customers. The disadvantages of low power factors are three. The first is that transmission lines and other power circuit elements are usually more reactive than resistive. Reactive components of current produce larger voltage drops than resistive components, and add to the total IZ = (I(R + LX)) drop, therefore, the system-voltage regulation suffers more and additional voltage- regulating equipment may be required for satisfactory operation of the equipment using power. The second disadvantage is the inefficient utilization of the transmission equipment since more current flow per unit of real power transmitted is necessary due to the reactive power also carried in the power lines. If the current necessary to satisfy reactive power could be reduced, more useful power could be transmitted through the present system. The third disadvantage is the cost of the increased power loss in transmission lines. The increased power loss is due to the unnecessary reactive power which is in the system. The reactive power losses vary as the square of the reactive current or as the inverse of the power factor squared. · Real power is given by P = VIcosφ. To transfer a given amount of power at certain voltage, the electrical current is inversely proportional to cosφ. Hence higher the pf lower will be the current flowing. A small current flow requires less cross sectional area of conductor and thus it saves conductor and money. · From above relation we saw having poor power factor increases the current flowing in conductor and thus copper loss increases. Further large voltage drop occurs in alternator, electrical transformer and transmission & distribution lines which gives very poor voltage regulation. · Further the KVA rating of machines is also reduced by having higher power factor as, Hence, the size and cost of machine also reduced. So, electrical power factor should be maintained close to unity. The major challenge for the TANGEDCO is that maintenance of power factor constant throughout their surroundings especially in large scale industries and automation industries because all these type of industries use various types of motors with varying inductive loads.The rule of the TANGEDCO is that the industries should maintain their power factor to unity or close to unity. But in practical most of the industries cannot maintain the power factor close to unity. Checking of the power factor in every industries in their surroundings frequently is a tedious one. This problem can be resolved by monitoring the power factor of the locality industries regularly. When the power factor in the industries become low it is necessary to alert the industry for taking the necessary actions but when the company ignores it, it is necessary to alert the TANGEDCO in their locality to take steps against the industries. By that they can easily maintain their fixed power factor with less effort. 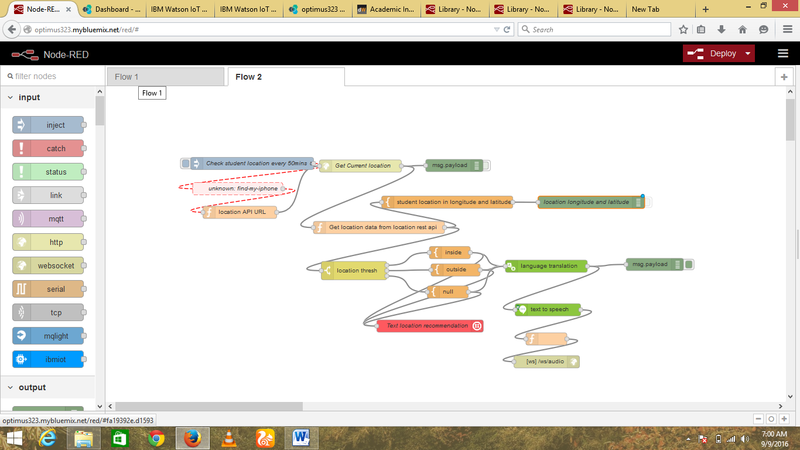 This becomes so simple by using the Internet of Things. We can monitor the power factors in industries by using the sensors and updating regularly in the cloud. When the power factor reaches it low value, the IoT can senses this change in the power factor. Then it sends a alert to the specific company whose power factor is low. If the company ignores the alert for some time and if the IoT does not sense any changes for a specific period of time, it automatically sends the criteria and alerts the TANGEDCO about this situation. This in turn helps the TANGEDCO to take the actions against the companies without visiting the companies and with less efforts. Another advantage is that this IoT proves to be a proof for the company’s power factor management. So no personal influence or fraudulence can take place. 1.can be used in navy. 2.can be used for fishing. 3.can be used for safety navigation. 2.Safety regarding crossing the borders. Now-a-days, lots of security system are available. but stealing are happen in all areas. For this purpose people made the security system by alarm and intimating the user via SMS or mail or voice message. But thiefs and hackers can stole the things by smart ideas. Thiefs can cut the alarm wire and steal the things. Here we will give small idea for this problem. If the thief cut the alarm wire means circuit will be collapse and there is no intimation send to the user. For this purpose we using the HALLEFFCT sensor for current flow is available or not. If the thief cut the alarm wire means the circuit will be opened. The circuit is opened means intimation will send to user, near by people and police. This kind of intimation will send via twilio. Here we connect our output of the sensor to twilio application and in our circuit the input given to twilio block is from threshold block by default we initiate the threshold value here we set threshold value is (==0) which means that give intimation like alert(0) some one is inside, when there is no current flow in the circuit. If our threshold value is (!=0) means our circuit is shorted and safe. There is no intimation will send to user. 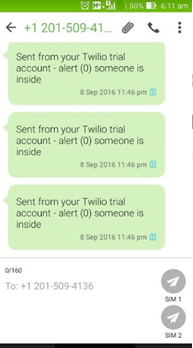 Here is the alert(0) intimation SMS sent by twilio to user.